Well, turn on all the lights, check all the closets and cupboards, and look under all the beds, ’cause there’s a brand-new episode of Eclectic Mayhem. Join us as we take a look back at the mischievous exploits of those screechy-voiced little glue-sniffers, The Gremlins. After discussing both Gremlins (1984) and Gremlins 2: The New Batch (1990), the EM Crew also talk Ghoulies, Critters and Munchies [oh my!]. Not A Bad Day Today. Started the day off being woken up by my girlfriend from a deep sleep to have breakfast in bed. In my lost not knowing where I am state, I managed to eat my breakfast with out choking on anything. 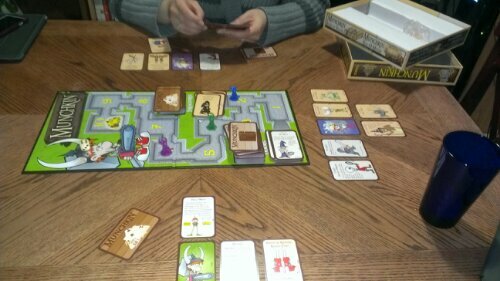 After she left for work, I just played around with the hobbits and watched movies and played games :). 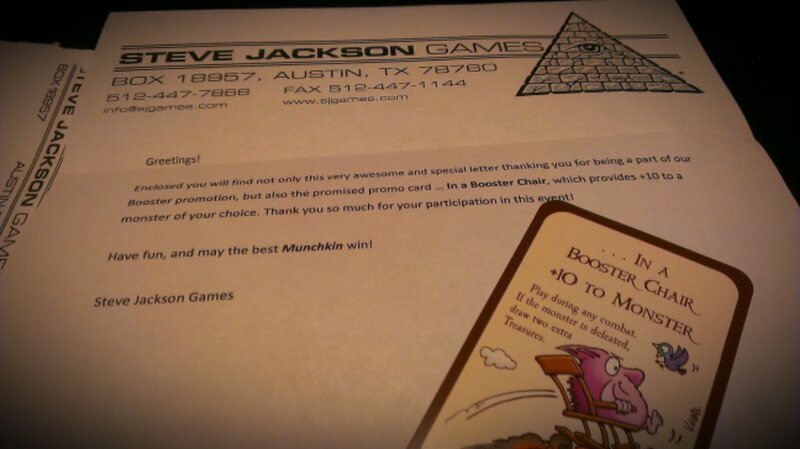 Then on my way to work I checked the mail really fast and found that I got something from Steve Jackson Games (Munchkin)! 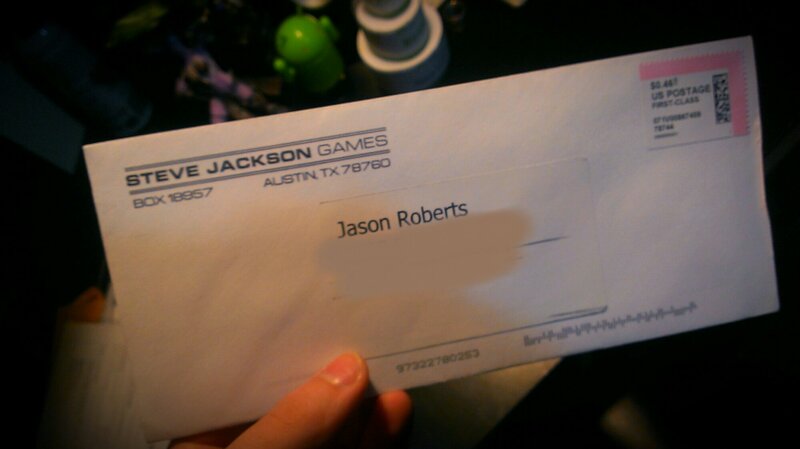 About a month ago I sent a letter with a special card order after buying the game. Kinda forgot about over time.. But it shows up the day before my birthday! 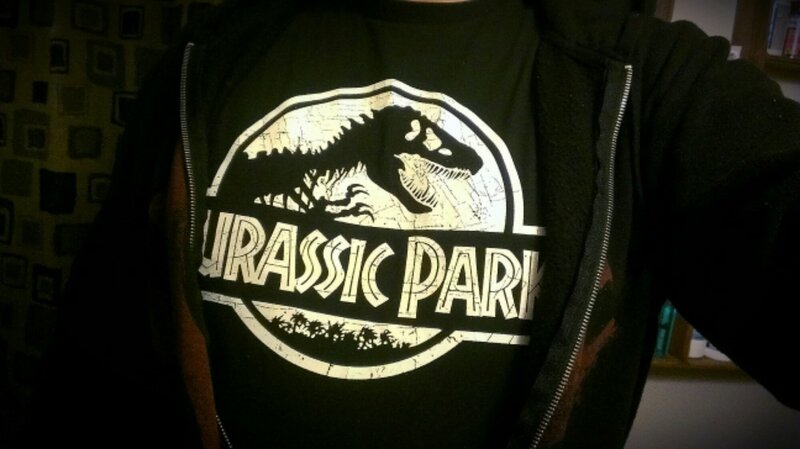 I would have to say this is my first Jurassic Park T-shirt and I love it. Yay!! 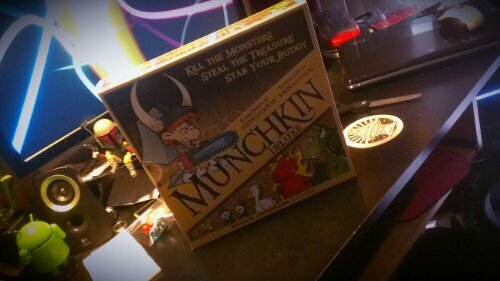 Can’t wait to start playing! 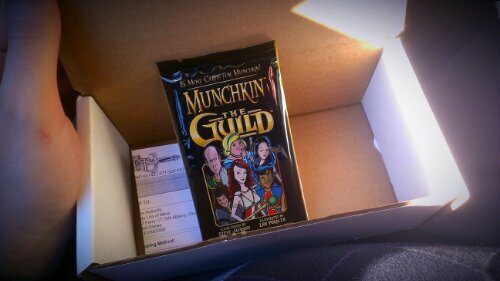 Rather shocked on fast the shipping was, just got the email notice yesterday haha. 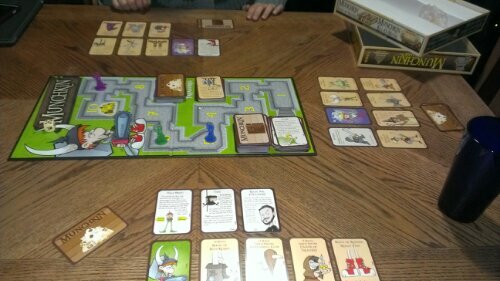 Now I just need to get the game board for this game, just for fun. Yay! Can’t wait, love/miss this show :-(. Hope/wishful thinking that they make another season.